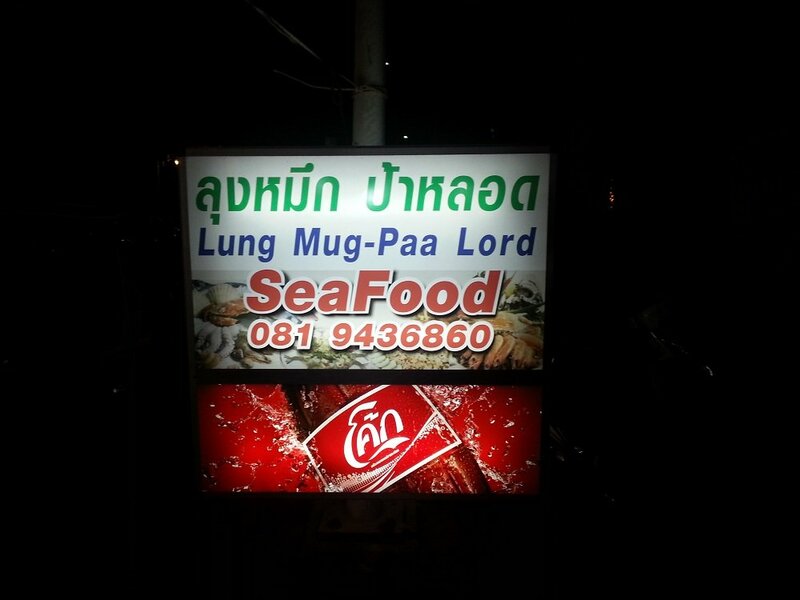 I also like the name of the restaurant, Lung Mug-Paa Lord, which translated from Thai to English means Uncle Squid and Auntie Shell’s restaurant. This restaurant has a very simple set up. Outdoor plastic tables and chairs. A covered kitchen area. A front table piled with ice and seafood. A couple of fridges for cold drinks and that is about it. Not that this matters at; a location this good doesn’t need much embellishment. 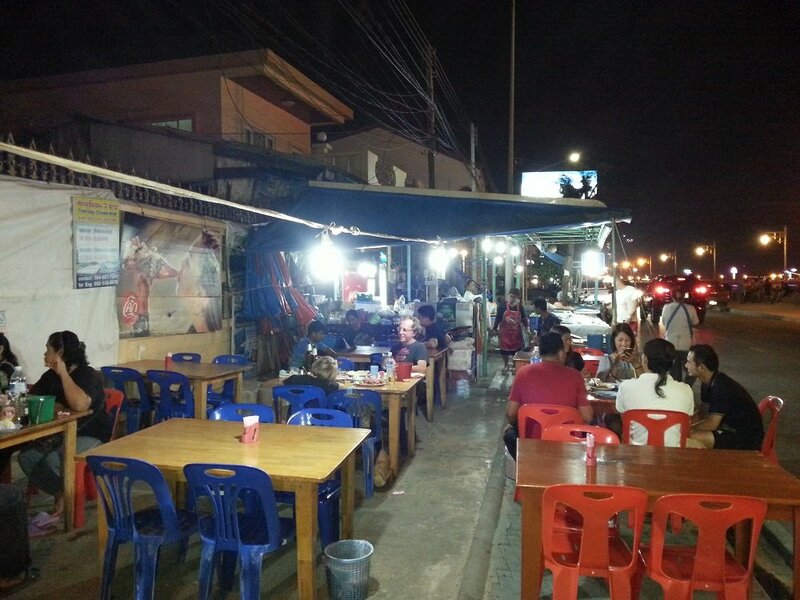 The restaurant is set in the popular seafront area of Prachuap Khiri Khan near a cluster of other seafood restaurants and bars with an atmosphere which is pleasantly lively without being to busy to relax properly. You sit next to a quiet road upon the other side of which is the sea wall. The waves gently wash against the seawall, the beer is cold, the sea breeze is cooling and all is right with the world even before the food arrives. Difficult to feel miserable in a place like this. Seafood features heavily on the menu although they do serve chicken and pork dishes, as well as some vegetable dishes, indeed the non-seafood dish we had here was really good. In terms of the seafood dishes on the menu you can go two ways. One way is the expensive way and involves ordering premium quality seafood priced by weight. If you have the money then you are unlikely to be disappointed. 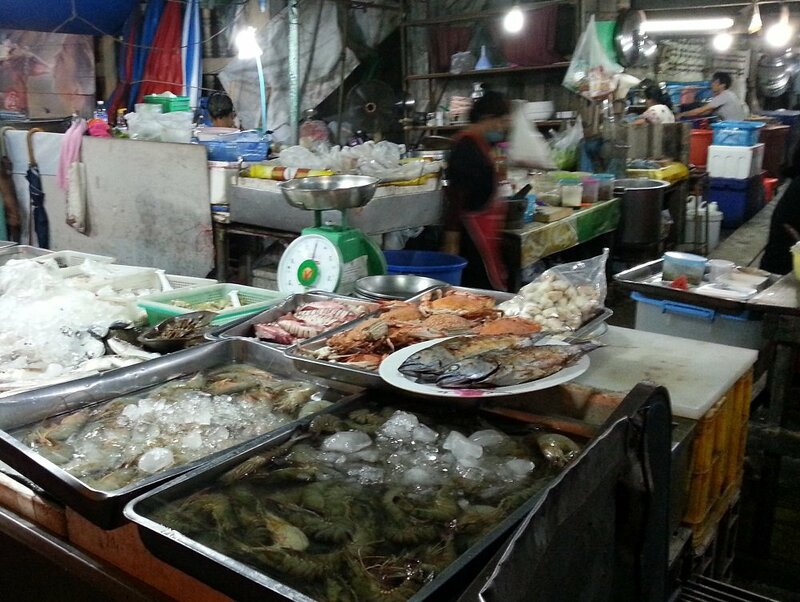 Even the expensive seafood is going to be lot cheaper than in more touristic towns in Thailand. 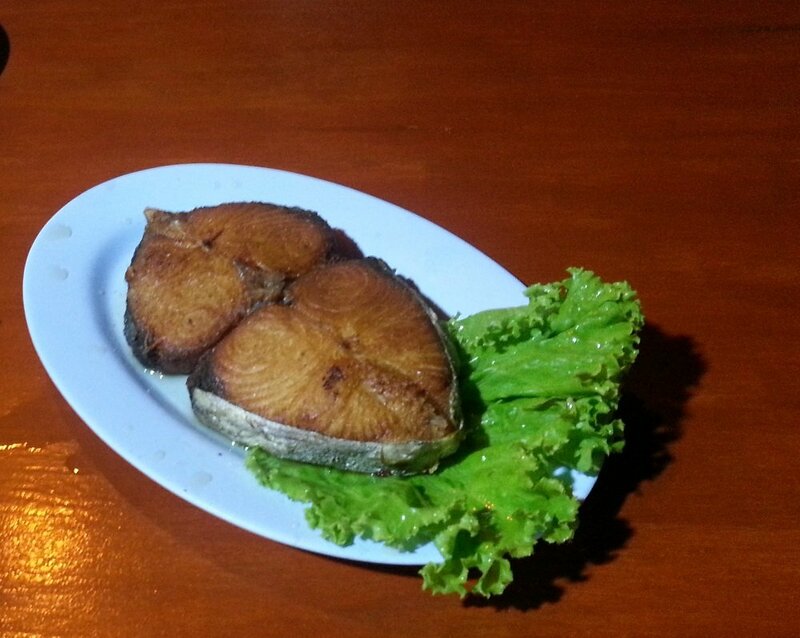 The other way to go with the seafood here is to order some classic Thai dishes at very reasonable prices. They have a great range of different types of Thai seafood dishes which we felt the descriptions in the menu failed to communicate properly. We asked the waitress what she thought the best dishes on the menu were and we ordered those. If you want to order the best dishes at this restaurant you should ask the staff to explain what they have and to make recommendations. We did and we were not disappointed. The fried mackeral was the best dish. 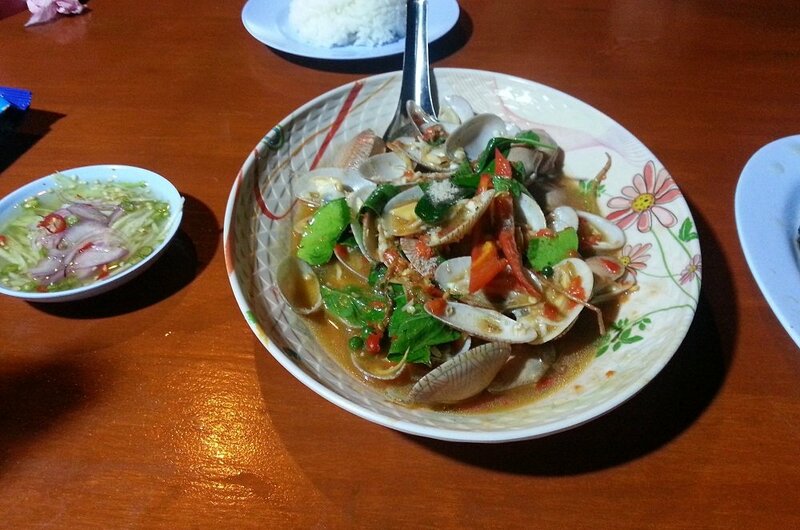 The quantity of clams was generous but my Thai wife thought the sauce was not spicy enough. The Bai Man Phad Kai was simple but excellent. I liked the the food and what it cost and I will eat here again.